Stelzer Dentistry decided to celebrate Women’s History Month by sharing four women dentists who’ve changed the face of dentistry. You could say they are responsible for contributing to the above statistic (along with many other aspiring female dentists)! Clara was a huge advocate for women’s voting rights, so it’s not surprising she became one of the first female dentists in the late 1800s. In fact, she was so involved with the women’s suffrage movement that she moved her practice from Michigan to Washington, DC to be directly involved with the national movement. She graduated from the University of Michigan in 1885 and moved to Grand Rapids to start her dental practice and even became the vice president of Michigan State Dental Society. When she moved to Washington, DC, her practice solely focused on women and children, using her gender as a professional advantage to be nurturing and understanding. Want to learn more about Clara? As a dentist, physician, and author of many scientific articles, Vida loved focusing on the little details. She firmly believed dentistry was the same as medicine and it deserved the same foundation as anatomy, histology, embryology, and physiology instead of focusing on the mechanical side of it. Because of this firm belief, she pushed for better science classes in dental schools and even earned a medical degree in addition to her dental degree. She taught at several hospitals in Chicago and ran a dental practice in Rogers Park, Illinois, keeping meticulous details on her patients, treatments, and fees. Want to learn more about Vida? She became the first paid female dentist for the U.S. Army. She became Alaska’s first female dentist in 1915 (she traveled by a dog team in the winter to get to her patients!). Served as a dentist for the Navy by disguising herself as male (she eventually got caught and was replaced by a male dentist). Took a dentist position in a female prison called California Institution for Women at Tehachapi. In fact, her best dental assistant was a murderer. Want to learn more about Leonie? Jeanne’s record is quite impressive. Not only did she overcome many race and gender barriers to become the best in dentistry, but she was the first woman to be Dean at a dental school. Actively recruiting women and minority students to the dental profession. Serving on many national counsels, such as National Institutes of Health, National Academy of Sciences, and much more. Became the chair of the Department of Prosthodontics. Even being so busy with her medical career, Jeanne managed a perfect balance between her career and life. Want to learn more about Jeanne? Who are your favorite female dentists? 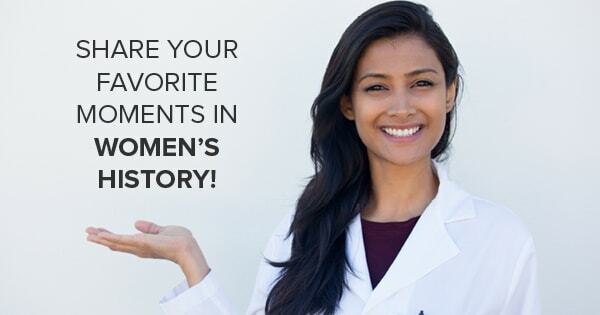 There are so many aspiring female dentists, and we’re curious to know who is your favorite. 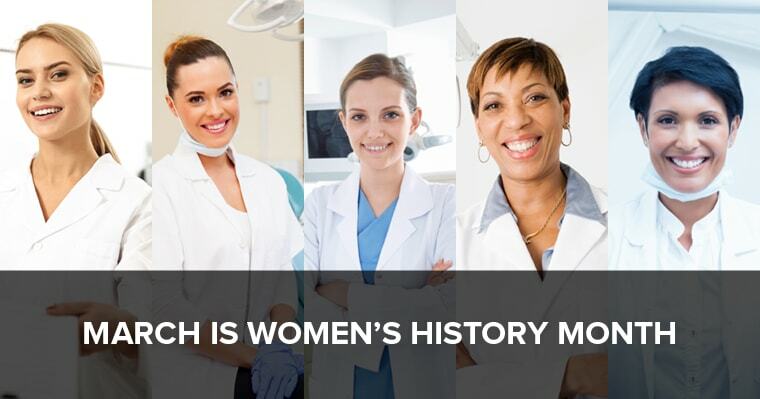 In honor of Women’s History Month, share with us your favorite female dentists in the comments below!